We helped the Paul Newman founded not-for-profit put together a video and special edition piece of art to mark their one-million milestone. 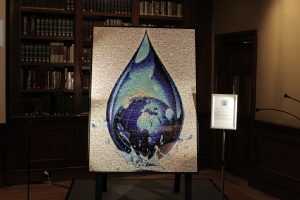 Working with the internationally recognized mosaic artist Robin Austin, we helped him produce ‘The Drop of Life’ an image comprised of over 2500 individual images that tell Safe Water Network’s ten year story. The video plays off of the mosaic as we journey into the drop and bring to life several of the images that tell the narrative.